We build the beautiful and functional spaces of your dreams. idea conception to project completion. Serving Vancouver + the North Shore. We’re proud of our team’s fine workmanship and obsession with getting all the details right. Take a look at some of our past projects and read what our partners and clients have to say about working with us. As a designer, I recommend Tandem Construction to my clients to handle their renovations. They are very reliable, responsible, knowledgeable and professional - and they always remain on budget. 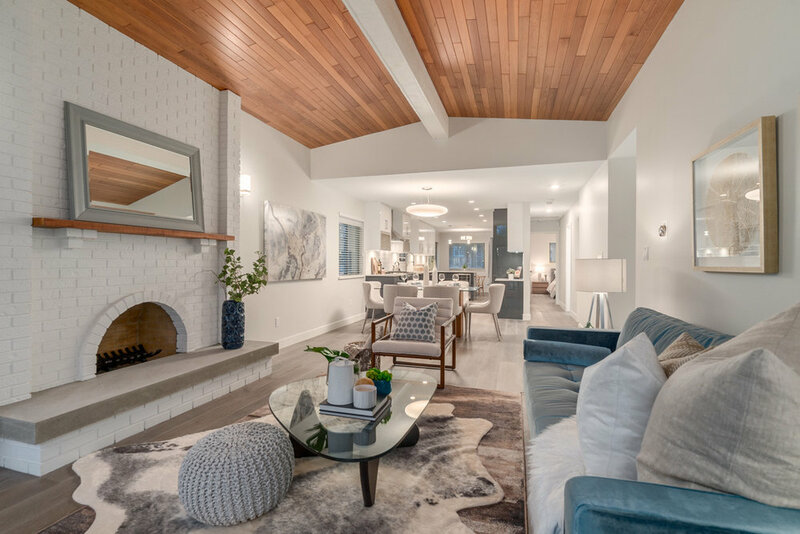 Tandem Construction is a general contracting, project management and carpentry company delivering luxury home renovations in Vancouver and the North Shore. Whether it’s a full home facelift, or just a refresher for your bathroom or kitchen, you can trust that Tandem’s team of talented carpenters and our network of qualified and dependable trades professionals will ensure your home renovation goes smoothly from vision to completion. Look forward to new content twice a month full of Tandem Tips to help you in your home improvement and renovation journey. Updating your floors can be an intimidating process but there are lots of reasons that make it worth it. Even if you aren’t planning on selling your home anytime soon, a home with updated flooring has a higher resale value. Plus, an updated, easy to clean floor can also save you time and money from costly carpet cleaning. If you’re doing a home renovation, it’s a good idea to do some research on the different types of flooring available. Our visual guide covers 9 different types of flooring and how they rate with regards to cost, strength, difficulty of installation and ease of cleaning. Open concept floor plans have been on top of the most coveted trends in home renovations for many years. You’ve probably seen gorgeous images of open concept homes and fallen in love with how they make a space feel so wide, airy and spacious. But is it really right for you? Let’s take a closer look. When you consider going green, you’re likely thinking about how you can change your life to lessen your impact on the planet. We support this conscientious cause! There’s a lot of recent progress in eco-friendly technology. An eco-friendly home is more achievable now than ever before. Going green won’t just help protect the Earth, it can also enhance the quality of your life. Here are some of the eco-friendly features available to you if you plan to add going green to your next renovation. Because we’re based in North Vancouver we are lucky to be so close to so much natural beauty. A walk in the woods is never too far away. But often we don’t make enough time to actually get out there and make the most of it. Being out in nature can quiet the psyche and refresh the body. What if you brought that peaceful feeling into your home? Read on for some ways to incorporate natural elements into your home. Carpentry is an art form and our crew prides ourselves on being tenacious at getting it just right. Here are some examples of how members of the Tandem team went to the next level to perfect a project. Small spaces offer both charm and challenges. If done properly, they feel like cozy little hideaways. If not, they feel claustrophobic and cramped. Here are our tips to make the most of any small space. There’s enough to think about when starting a home renovation - you don’t need extra confusion trying to understand the jargon used in the construction industry. Here’s our guide to some of the most common construction terms you might hear. Follow our Instagram to keep up with our latest updates!